Mr. Narayan, Indian Development Foundation. CFSI popular films viz. 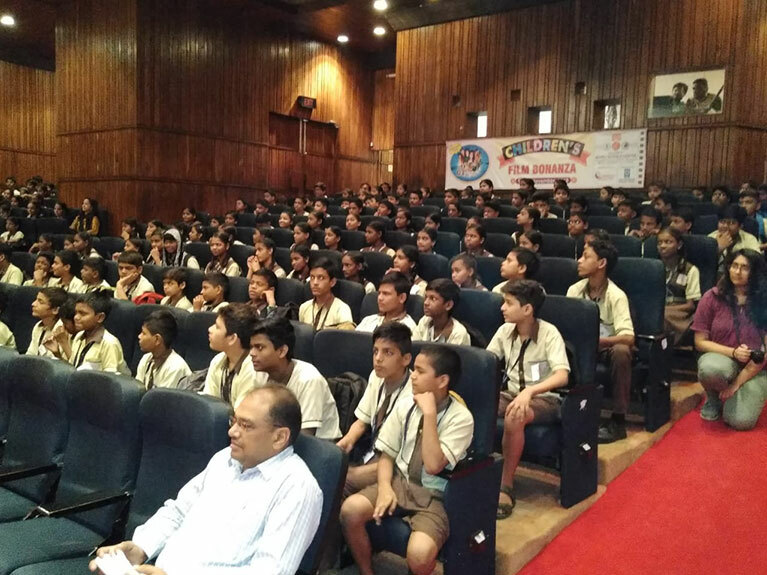 Ek Ajooba, Gattu, Neel Parvat Ke Paar, Uranchoo, Samay Ka Chamatkar, Foto, Aaji Aajoba and Bandu Boxer is being screened which is primarily targeted for slum dwelling children and other school children of Mumbai. 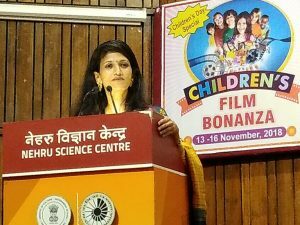 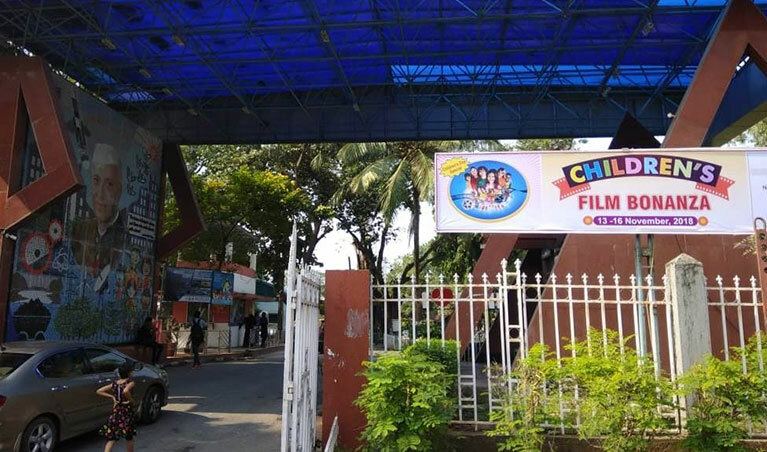 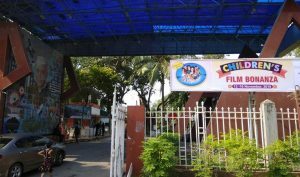 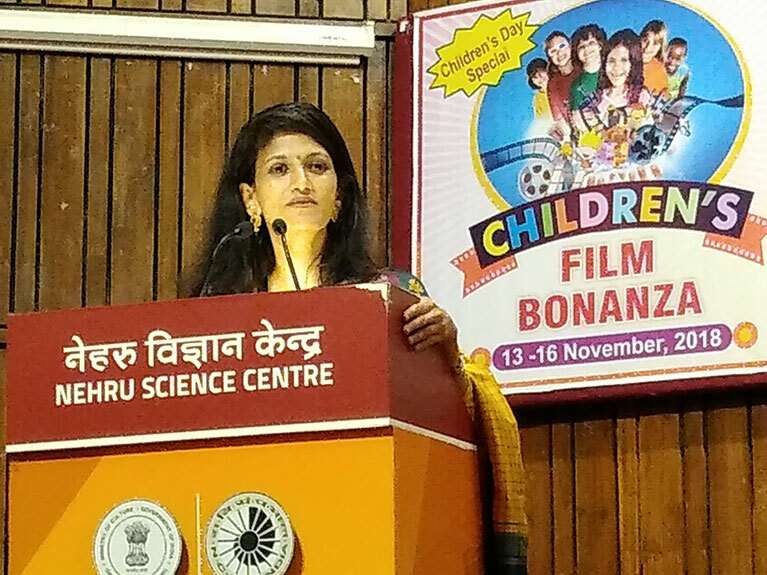 Children’s Film Bonanza at Nehru Science Centre, Worli, Mumbai. 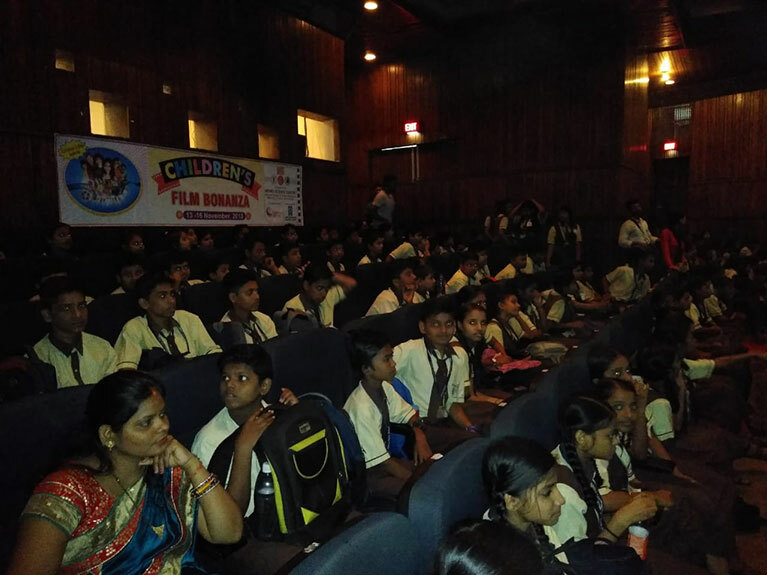 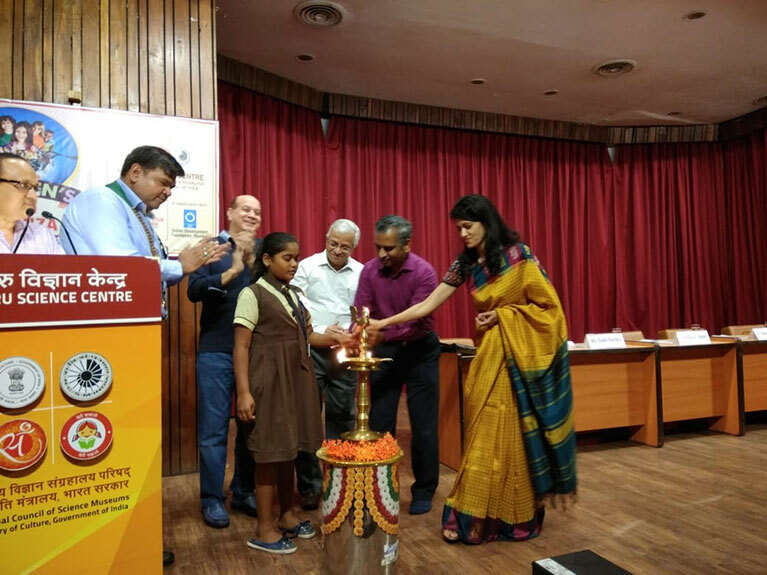 Children attended the inauguration, followed by screening of CFSI film ‘Ek Ajooba’. 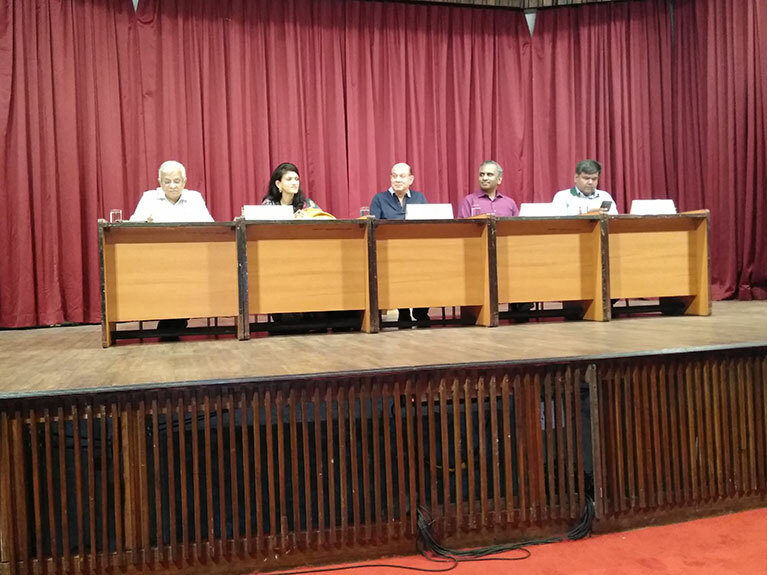 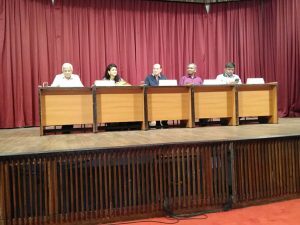 On the Dais are guests, Shri S M Khened, Director Nehru Science Centre; Ms. Swati Pandey, CEO, CFSI; Mr. Sunil Advani; Mr. Narayan, Indian Development Foundation; Mr. Aditya Jhunjhunwala, Round Table India.